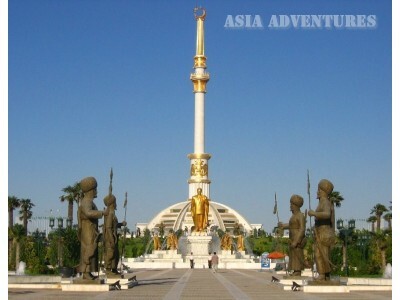 The Republic of Turkmenistan is located in Central Asia. 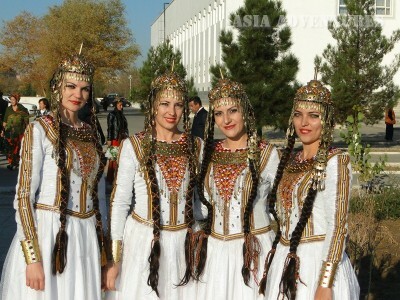 Since 1991 Turkmenistan is an independent republic (previously it was incorporated to the former USSR). On the north Turkmenistan borders on Kazakhstan and Uzbekistan, in the east - on Uzbekistan and Afghanistan, in the south - on Afghanistan and Iran, in the west along the Caspian Sea - on Azerbaijan. The overall length of boundaries is 5646 km. 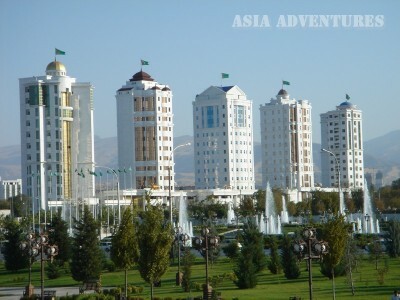 Ashkhabat (Ashgabat) is the capital of the Republic. Population is more than 6 million people. 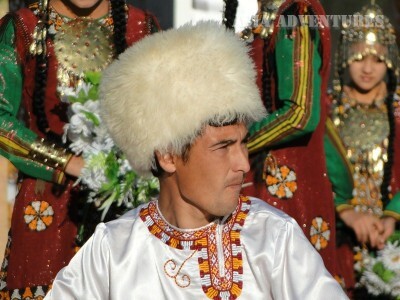 The official language is Turkmen. Russian is also used as conversational language. 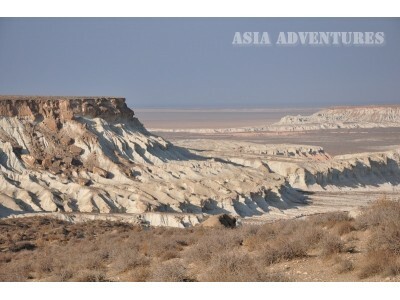 The territory is 488 100 square kilometers in total and makes it the largest country in Central Asia. These are vast landscapes - mainly low places, sandstones and uninhabited plains. 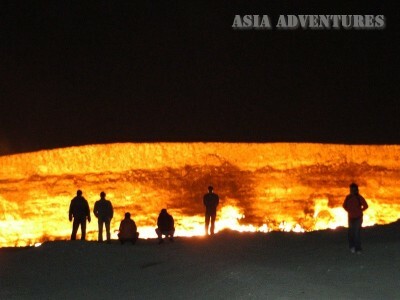 Kara-Kum desert and Kara-Bogaz-Gol bay, which is located in 35 meters below sea level, are the most parts of it. 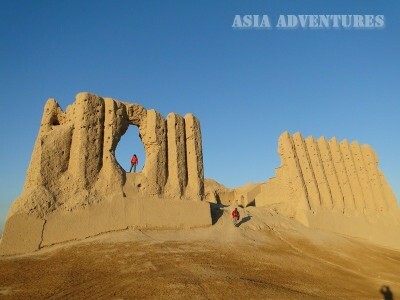 The basic region of population is located along Amu-Darya - the largest and most important river in Turkmenistan. The Sary-Kamysh lake is the greatest salt lake in Turkmenistan. 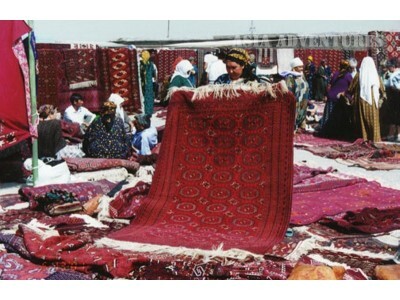 Turkmenistan is rich in mineral deposits: oil, natural gas, salt, metals. 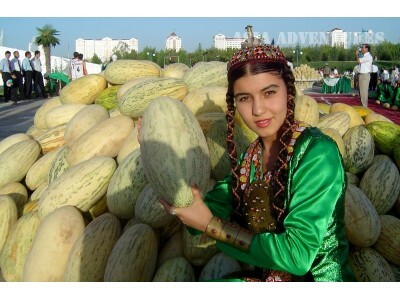 There are no high mountains in Turkmenistan. 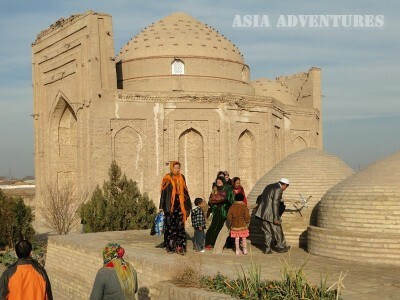 The foothills of Kopet-Dagh are located on west and south-west of the country. The highest summit is 2942 meters. The climate of Turkmenistan is extremely continental and dry, with exception of the coastal zone of Caspian Sea and mountains. Rains are rare, sky is mainly clear and sunny. Winter is warm and there is no frost. July is extremely dry and hot. The average annual air temperature throughout entire territory is positive and varies from 12-17° on the north to 15-18° degrees on the southeast. The greatest amount of precipitations is observed in the mountains and in the foothills - 398 mm in average (Koyne-Kesir), the smallest (95 mm) - above the Kara-Bogaz-Gol bay and (105 mm) on north-east of Turkmenistan.